Clive Efford MP has welcomed The Mound’s Post Office relocation to a new modern premises still on The Mound but in a larger premises with easier access for everyone. Clive has been liaising with Post Office Ltd and Post Master Kulwinder Chima to ensure that the move went ahead smoothly. “It is a great honour, having worked so hard with Mr and Mrs Chima back in 2005 to help save their Post Office, to see it re-opening today in such a splendid building. Post Offices are vital to the community in Eltham and I’m sure the new improved office, with its long opening hours at both branches, will be warmly welcomed by all of my constituents,” explained Clive. Clive Efford is launching the search for the top Indian or South Asian restaurant in his constituency. The Tiffin Cup rewards the best South Asian cuisine in the United Kingdom. Last year there was great local success as Eltham’s ‘Yak and Yeti’ finished seventh in the prestigious nationwide competition. So if you think that your local is the Lord of Lhassi, King of Korma or Duchess of Dahl of then let us know using the form here or email your nomination to clive@cliveefford.org.uk. Once the nominations have been made locally ten entrants from across the country will be short-listed and invited to a special cook-in at Bellamy’s Restaurant where the overall national winner will be found. This years Tiffin Cup is to benefit the charity World Vision. Today Clive attended an event examining the London housing crisis which has been brought about by Conservative policies. Under the Conservatives house building in London is at its lowest level since 1924, the average age of a first time buyer is 38 and the London Mayor is missing his own targets on building affordable homes. Clive has backed Labour Councils who have promised to build more genuinely affordable homes, tackle rogue landlords and create jobs and apprenticeships in the building industry. 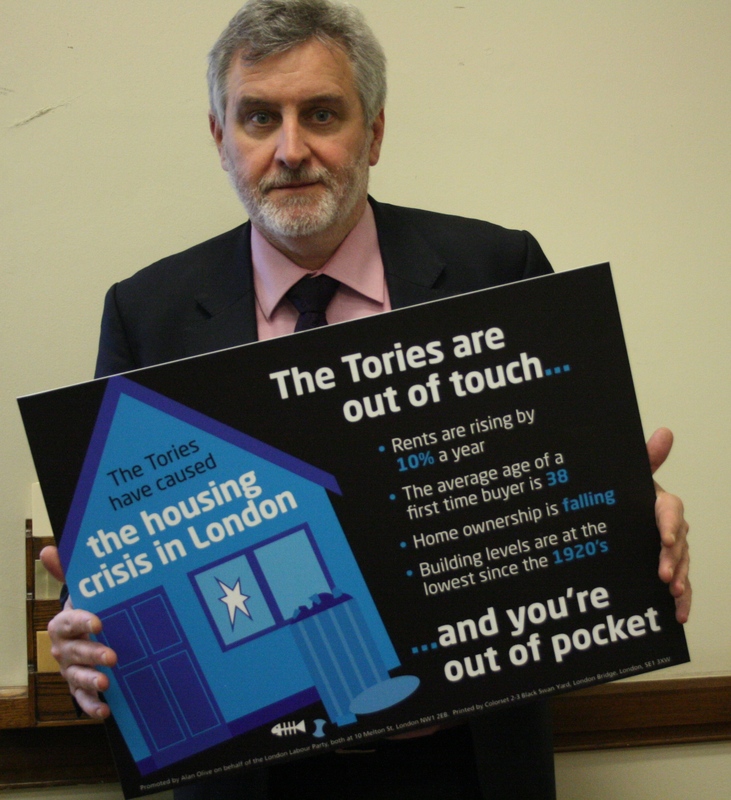 Find out more about the London housing crisis here. Woolwich lost its fire station yesterday as its engine left the building for the last time. There are eighteen residential fires in London each day and over one hundred London schools reported fires in 2011. London Mayor Boris Johnson has announced that up to 17 London fire stations are at risk of closure with 17 firefighting appliances, such as fire engines going as well. On top of this London is to lose over 600 members of its brave firefighting crews. The safety and security of Londoners is at risk as a result of cuts to emergency services being pushed through by the Conservatives. Conservative cuts have targeted the police, fire brigade, ambulance service and A&Es.